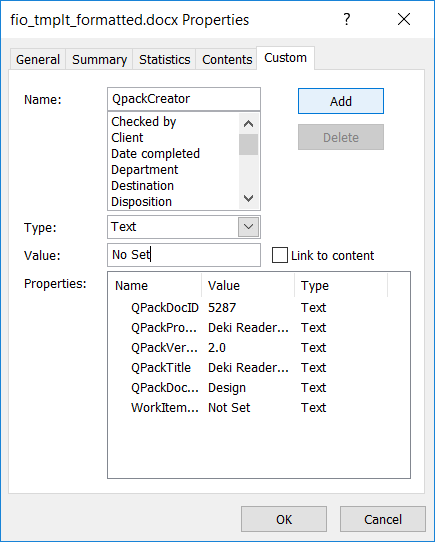 This article explains how to embed Orcanos fields inside the MSWord File. Once document signed and Download PDF gets generated, these fields will get the value from the database. Click Info to view the document properties. Click the File tab again to return to your document. Any changes you made will be saved automatically. Position the insertion point where you want to insert the value of the custom property. Make sure the Insert tab of the ribbon is displayed. Click the Quick Parts tool in the Text group. 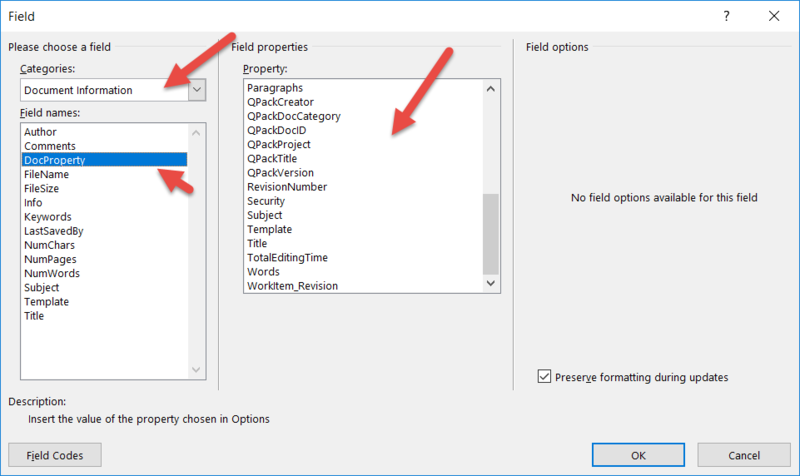 Click Properties, and then select Advanced Properties. In the Type list, select the data type for the property to Text. Click the File tab again to return to your document.